Camborne is the correct spelling of this Cornish town. This fine building was built as the 2nd Wesleyan Chapel in Camborne. To this day both building are extensively used for social outreach and worship. 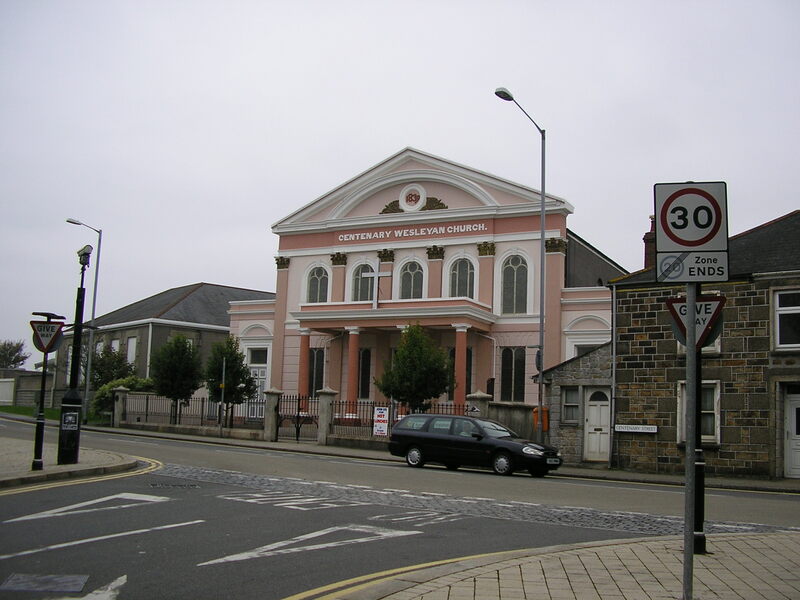 The Mother Chapel is Camborne Wesley that is located in Chapel Street.